A Bible quizzing missions team from the Gateway Conference, led by Vaughn Robart, visited Taiwan in May 2017 to promote Bible quizzing. Taiwan: Visited Holy Light Seminary. Saw former Wilmore quizzers Ian Wong & his folks. Invited by FM missionary David Clemente to showcase Bible Quizzing at Asia Youth Conference 2019. Recently Becca Doyle, missionary to Taiwan, wrote: "Thank you so much for your faithfulness in sending the Quizzing newsletters. I have printed them off and am keeping them in a Quizzing file/notebook. 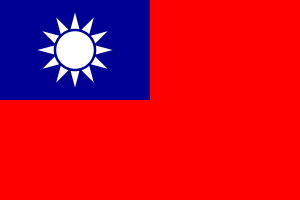 Last month you asked for some news about quizzing in Taiwan. Presently it is still in the "dream" stage. I have been leading a discipleship group for the last two years (one of which was with me at IYC 2003), and they have been memorizing the Navigators TMS verses. We have played with the seats a couple of times....The quizzing program needs someone who is dedicated to leading the program (I think I can fit this first requirement) and someone who has the time to direct those who are coaching (this I lack). Another hurdle that we have here is the lack of Chinese material. The Bible is in Chinese, but all other materials (questions, manuals, leaders guides, etc) need to be translated. At present I do not have the time myself, and I do not have anyone else that can dedicate the time to this important task....You can continue to pray. I am looking to the Lord for an open door on this one." Vaughn Robart, former Quiz Director for the Southern Michigan Conference, has moved to Taichung, Taiwan to teach at Morrison Christian Academy. He hopes to assist with the introduction of quizzing to Taiwan.